Yes, that’s right, you can actually borrow a higher loan amount with an unsecured loan compared to a secured loan, and, even better, it’s also funded faster compared to a secured loan. 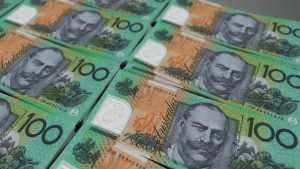 This is because secured funding, especially for business, is limited by the percentage of your assets’ value and requires an appraisal of your assets. You don’t need either of this with an unsecured loan so the process of releasing money is faster. However, there is a downside to all of this. Yes, you process less paperwork and documentation, however, you end up needing to pay for higher costs to get the loan. You see, because of the fact that your loan is not guaranteed by a collateral, the lending entity will charge higher interest rates to mitigate risks. Extra cash on hand that’s not leveraged against your assets offers you virtually unlimited flexibility for your growing business. Having a slow month? Now you have extra for payroll. Need a new server or need to make improvements to your system? Now you can with a working capital line of credit (money available for use for immediate, short-term needs of your company). But of course, there’s always a flipside of things. 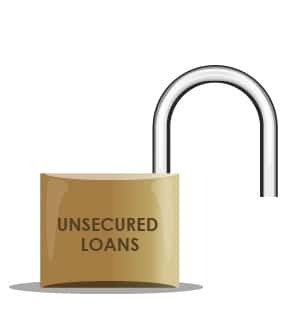 First, you should expect that unsecured loans will have shorter terms for both personal and business unsecured loans. Expect terms of five years or less, maybe ten years if you’re lucky. Apart from that, you shouldn’t expect any flexibility with repaying the loan. Let’s say you agree to pay $150 per month for the next 3 years. Even if you need to, you won’t be able to ask for lower payment adjustments or even pay the loan sooner without being hit with early repayment fees. You have to make sure that you make all of the agreed payments, no more – no less, each month without fail. A lot of people think that since the loan isn’t guaranteed by a collateral, it’s completely okay if they fail to pay within the designated time or if they miss a few payments. Nothing tied to the loan so no problem, right? You couldn’t be more wrong. Let’s say that the kind of loan you got was an unsecured business loan with a personal guarantee. Basically, if your business defaults, the responsibility of payment goes to the individual guarantor. In this case, the lending entity has the right to go after your assets whether it’s stocks you own, your paycheck, your car, or even your properties. Like everything else, read the terms and conditions and loan agreement carefully before signing anything. If there’s anything that you don’t understand about your loan, make sure that you ask the finance specialists assigned to you for any clarifications. Whether it’s a car financing, home loan, personal loan, or business loan, make sure that you go with a company that will always be transparent with you and that will be flexible enough to get you a package that’s right for you. Good luck!